Best read with Internet Explorer or Firefox. The link to Ajkal is not working. 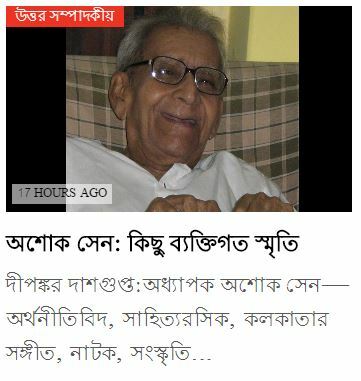 Also Ajkal website does not provide archive to search from. Request you upload the scanned copy of the article here. Sorry about this. I am unfortunately away from Kolkata. I don’t have the hard copy with me. Will upload a scanned version once I am back.